The Public Investment Corporation (PIC) announced on Tuesday — day 2 of the inquiry — that it had found major flaws in its controversial R4.3bn investment in Iqbal Survé-controlled Ayo Technology Solutions, leading to the suspension of two employees after a preliminary investigation revealed its processes had been violated. The second day of the commission of inquiry into the PIC began in Pretoria on Tuesday with an announcement that executive head of listed investments Fidelis Madavo had been suspended on Monday evening. Madavo was due to testify at the inquiry on Tuesday. In a statement, the PIC said its board decided on Monday to suspend Madavo and assistant portfolio manager Victor Seanie after receiving its preliminary report into the Ayo investment. “The preliminary report clearly reflects a blatant flouting of governance and approval processes of the PIC. Employees of the PIC have also been implicated in these irregularities,” read the PIC statement. Inquiry evidence leader Advocate Jannie Lubbe SC slammed the PIC, which manages over R2trn in assets, mostly on behalf of the Government Employees Pension Fund (GEPF). “I put on record that I find it strange and alarming that the PIC board is running a parallel investigation into matters covered in particular by the terms of reference of this commission,” Lubbe told the inquiry. He called the PIC’s investigation “totally improper” and said the inquiry may need to call its board chairperson, Deputy Finance Minister Mondli Gungubele, to explain. The inquiry is tasked with investigating allegations of impropriety regarding PIC investment decisions, the role of the board in those choices, and whether employees used their positions to improperly benefit. 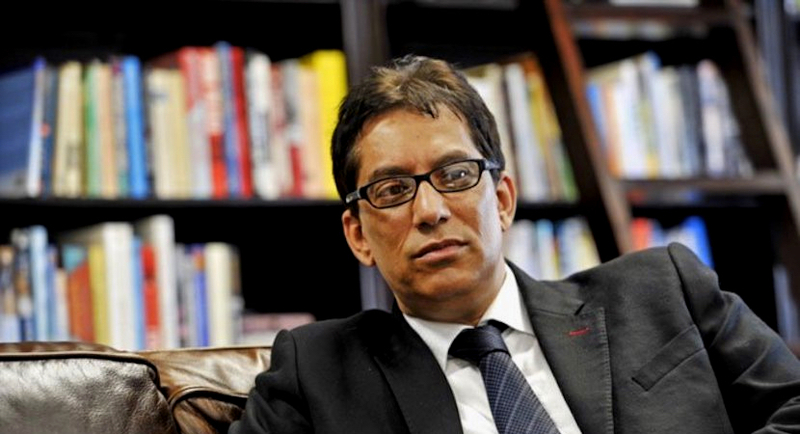 The PIC invested R4.3bn in Ayo Technology – controlled by controversial media owner Iqbal Survé – in December 2017, which led to widespread criticism that it had vastly overpaid for shares in the IT company. The board decided to examine the transaction following questions in the media but officials continued to defend the investment. In June 2018, PIC head of corporate affairs Deon Botha said “nothing untoward happened”. In November, City Press reported Ayo had made R227m in interest from the PIC’s investment, nearly all of its listed annual profit. “The bottom line was that we felt and the team felt that we could invest and we did invest,” Modavo, the suspended PIC executive head of listed investments, told the inquiry Tuesday on the decision to back Ayo. He said the PIC CEO would normally approve such a decision to invest but according to minutes he was not present at the committee meeting and the Ayo deal was approved by the PIC CFO, Matshepo More, who also serves as acting CEO after Dan Matjila resigned in November. Modavo said he was not present at the committee meeting. Commissioners at the PIC inquiry wanted to question Modavo further on the Ayo investment but he had not prepared to be quizzed on the matter. Lubbe said the inquiry’s forensics team had completed 80% of its investigation into the deal and would discuss it at a later stage. Ayo isn’t the only controversial deal the PIC has with Survé. In 2013, it took a 25% stake in Independent News and Media SA while Sekunjalo Independent Media, led by Survé, took 55%. In December the PIC declared an impairment on the investment of more than R1bn after Independent defaulted on a loan repayment. The PIC was also poised to back Survé’s Sagarmatha Technologies, which was also criticised as grossly overpriced, before pulling out at the last minute.